Click here to visit the SodaStream facebook and like them. Then on the “Giveaway!” tab, fill out the form. 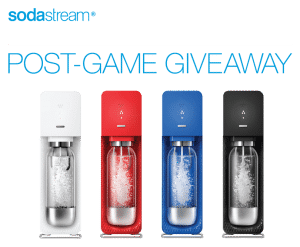 They’ll be giving away 10 free SodaStream machines and the winner gets to choose the color they’d like. You’ll have until February 14th to enter. Good luck!